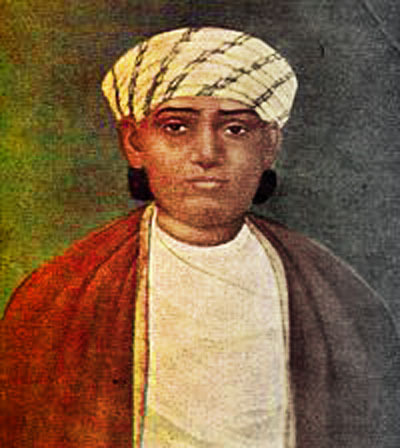 Mutty Lall Seal (1792 – 20 May 1854), also spelt Mutty Loll Seal or Mati Lall Seal or Motilal Seal, was an Indian businessman and philanthropist. Mutty Lall Seal and Ramdulal Sarkar, another renowned shipping magnate, have become part of Bengali folklore as great merchant princes. Mutty Lall started his business career humbly by selling bottles and corks. He was the founder and promoter of the first indigo mart which was established under the name of M/s. Moore, Hickey & Co. He got appointed as “Banian” to around twenty first class agency houses out of around fifty or sixty such houses in Calcutta. He got into exporting of indigo, silk, sugar, rice, saltpetre to Europe and importing of iron and cotton-piece goods from England. He got up a number of cargo boats which were then a new speculation in the market. He worked the old Flour Mills, and shipped whole cargoes of biscuits to Australia for the first emigrants. Later he put up a mill to refine sugar on the centrifugal principle. He was the first to use steamships for internal trade in Calcutta. In due course he amassed around thirteen trade ships including a steam tug named ‘Banian’. Mutty Lall Seal carried out his ambition of establishing a national institution. The formal opening of the Mutty Lall Seal’s Free College took place in March 1842 at his house. Among those present were Baboo Dwarkanath Tagore; Baboo Ramcomul Sen; Baboo Russomoy Dutt and Revd. Krishna Mohan Banerjee besides many other top officials and dignitaries. There were eloquent speeches in testimony to his noble generosity and liberal mindset with Mr. George Thompson complimenting him as “a Hindu gentleman, who had nobly resolved to consecrate a large portion of the substances he had acquired by honorable exertion, to the intellectual improvement of the youth of his own nation to transmute his money into mind”. Mutty Lall Seal’s Free College (later renamed as Mutty Lall Seal’s Free School and College) was to provide for the education of the Hindus to enable them to occupy posts of trust and emolument in their own country. The institute was initially under the management of the Directors of the parent college of St. F. Xavier, Chowringhee, Calcutta. The college stood in high estimation of the public and competed successfully with the Government and Missionary Colleges in the University examinations (Suniti Kumar Chatterji and Swami Prabhupada were some illustrious students of this college). Although Mutty Lall Seal was a conservative, he was in favour of Raja Rammohun Roy’s efforts of banning sati, women’s education as well as remarriage of widows. He made a public offer for a dowry of 1000 rupees to the person who should have the courage to marry a widow. When Mutty Lal Seal died on 20 May 1854 his obituary in the Hindu Intelligence described him as the “richest and most virtuous Baboo of Calcutta”. This entry was posted in Bengaleese, Hinduism, People, Pioneers and tagged calcutta, Mutty Lall Seal.